Dr. Jon A. Chilingerian is a tenured professor at Brandeis University and Adjunct Professor of Public Health and Community Medicine at Tufts School of Medicine. He received his Ph.D. in Management from MIT’s Sloan School of Management. He was recruited to come to Brandeis by Dr. Stuart Altman in 1987. In 2016 he was ranked in the top 20 professors of healthcare management in the world. In 2011-2012, he was a visiting professor of organizational behavior and health care management at INSEAD in Fontainebleau, France. He teaches graduate courses and executive education sessions in Organizational Theory and Behavior, Management of Health Care Organizations, and Health Services Research. He began working with DEA as a Doctoral Student at Massachusetts Institute of Technology (MIT). Today he is an international expert on health applications of DEA. He is founding Director of the Executive MBA for Physician, 16-month accredited MBA, and founding director of the MD-MBA Program in Health Management with Tufts Medical School (1995-present), which today is the largest MD-MBA program in the United States with over 200 graduates. Since 1999, the program has graduated an average of 15 MD-MBA students each year. He is also Principal Investigator and Director the AHRQ Doctoral Program in Health Services Research. Professor Chilingerian has lectured across the globe including, Armenia, Belgium, Brazil, China, Denmark, England, Netherlands, Singapore, South Africa, and Spain. He is Program Director of the Brandeis Health Leadership Program, a one-week residential program sponsored by the American College of Surgeons, and the Thoracic Surgery Foundation for Research and Education. Between 1997 and 2011, he directed the European Health Leader’s Program, a two-week residential program with nearly 800 alumni. In May 2012, he launched an Advanced Health Policy and Leadership Academy in partnership with the Hanley Center in Maine, which over the next five years will train nearly 10% of all the physicians in the State of Maine. Dr. Chilingerian is the co-author of International Health Care Management, published by Elsevier Press (Summer 2005), and The Lessons and the Legacy of the Pew Health Policy Program, with Corinne Kay, published in 1997 by the Institute of Medicine National Academy Press. 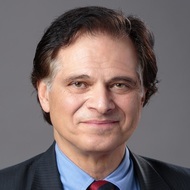 He has scholarly papers and review essays published in journals such as: Annals of Operational Research, Medical Care, European Journal of Operational Research, Health Services Research, Health Care Management Review, Medical Care Research and Review, Inquiry, Health Services Management Research, and The Journal of Health Politics, Policy and Law. Dr. Chilingerian was former chair of the Health Care Management Division of the Academy of Management. His research focuses on managing health care organizations, ranging from studies of executive leadership and management of professionals to the measurement of performance (i.e., productive efficiency, quality, etc. ), identification of physician best practices and the analysis of effective operating strategies. He is currently working on advancing clinical applications of DEA by studying quality, productivity, and technical change in a variety of procedures such as: orthopedic, cardiac and breast cancer surgeries. Dr. Chilingerian was Assistant Health Commissioner for the City of Boston (1978-1982) past-chair of the Health Care Management Division of the Academy of Management, and 2010 recipient of the Myron Fottler Exceptional Service Award for the Academy of Management. He is the recipient of several academic awards, such as the Academy of Management (Health Care Division’s) “Best Paper Award.” His research focuses on managing health care organizations, ranging from studies of executive leadership and management of professionals to the measurement of performance (i.e., productive efficiency, quality, etc. ), identification of physician best practices and the analysis of effective operating strategies. He is an expert on health care performance studies using mathematical programming and frontier analysis. He recently completed an international study of 444 international health leaders. Saxena, Rajeev, Ianchulev, Stefan, Chilingerian, Jon.. "The Future of Ambulatory Surgery at an Academic Medical Center:Maximizing Operational Efficiency using an In-House Ambulatory Surgery Model.." Journal of Healthcare Management Mar-Apr 63. 2 (2018): 118-129. Chilingerian, Jon (PI); Sally Ourief; Lynn Garvin; Andrea Harris. Building a 21st Century Physician Leadership Curriculum. National Physician Foundation: 2016. Amico, Peter and Chilingerian, Jon. "Community Health Center Efficiency: The Role of Grant Revenue in Health Center Efficiency." Health Services Research 49. 2 (2014): 666-682. Chilingerian, J. Flieger, S., Hart. Establishing an AHRQ Learning Collaborative: A White Paper.. Rockville, Maryland AHRQ Publication: 2012. Wu Zeng, Donald S Shepard, Jon Chilingerian and Carlos Avila-Figueroa. "How much can we gain from improved efficiency? An examination of performance of national HIV/AIDS programs and its determinants in low- and middle-income countries." BMC Health Services Research (March 24, 2012) (2012). Chilingerian, Rafael Corrdero & John Kimberly.. "Analyzing performance in addiction treatment: An application of data envelopment analysis to the state of Maryland system.." Journal of Substance Abuse Treatment (2011). Hefland, Mark, Basu, Anirban, Chilingerian, Jon, et. alia.. "A CTSA Agenda to Advance Methods for Comparative Effectiveness Research." Clinical and Translational Science Volume 4. Issue 3 (2011): 188-198. Using Mendellsohn to Teach Leadership.. Chilingerian, Jon. 2010. Chilingerian, Jon. "Partnering with Clinical Managers to Challenge Reality Models." INFORMS. Hong Kong, China. June 26-28, 2006. Chilingerian, Jon. "Strategic Thinking in Health Care." Management and Leadership Development in the Allied Health Professions. Ed. Dr. Robert Jones, and Dr. Fiona Jenkins. Radcliffe Publishing, Ltd., 2006. 191-226. Chilingerian, Jon, with Grant Savage & Michael Powell. International Health Care Management Advances in Health Care Management Volume 5. Elsevier Press, 2005. Chilingerian, J.A., Shactman, D. Clinical Focus in Health Care. Report. Council on Health Care Economics and Policy, Schneider Institute for Health Policy, Heller School, Brandeis University. Washington DC: 2004. Chilingerian, J.A.. "Evaluating Quality Outcomes Against Best Practice: A New Frontier." The Quality Imperative: Measurement and Management of Quality in Healthcare. Ed. Kimberly, J.R., Minveille, E.. London: Imperial College Press, 2000. 141-167. Glavin, M.P.V., Chilingerian, J.A.. "Hospital Care Production and Medical Errors: Organizational Responses to Improve Care." Current Topics in Management. vol. 3 Greenwich, CT: JAI Press, 1998. 193-215. Chilingerian, Jon, with Corrine Kay. Lessons and Legacy of the Pew Health Policy Doctoral Programs; Niche Educational Programs in Health Policy. Washington D.C: National Academy Press, 1997. Tompkins, C.P., Bhalotra, S., Garnick, D.W., Chilingerian, J.A.. "Physician Profiling in Group Practices." Journal of Ambulatory Care Management 19. 4 (1996): 28-39. Tompkins, C.P., Wallack, S.S., Bhalotra, S., Chilingerian, J.A., Glavin, M.P.V., Ritter, G., Hodgkin, D.. "Bringing Managed Care Incentives to Medicare's Fee-for-Service Sector." Health Care Financing Review 17. 4 (1996): 43-63.